Here’s the Australia report card after the first test match of the Border-Gavaskar trophy. Warner may have had his way in the Hobart Test, but not in this one. He started off briskly in the first innings in which he gave a cracking start to his side by negating Zaheer’s threat very well. While Cowan stay put at one end, Warner did what he knows best, ‘Attack’. However, his natural game led to his downfall as he could not resist a short pitched, slower delivery from Umesh Yadav and Dhoni took a simple catch as he went back to the pavilion with 37 runs to his name. In the second innings, Warner surprisingly began at a tortoise speed as the Indians tried to dry up the runs. His impatience caused him to fail in the second innings as Yadav got his man yet again as he inside-edged a good length ball onto his stumps. He has to realize that Test cricket is not all about aggression always, and he will learn that with time to come perhaps just as his idol Sehwag did. The debutant grabbed many eyeballs with an excellent fifty in the first innings, despite the conditions and the pitch conducive for bowlers. He has been in top form forTasmaniain domestic cricket and after scoring a hundred againstIndiain one of the practice games. So he made full use of that form, and played like a veteran on his debut! His partnerships with Ponting and Clarke were vital in helping Australia reach 333 even as he was a tad unlucky to be given out off Ashwin’s bowling, missing out on a potential Test hundred. While his inexperience accounted for his wicket in the second innings as he was a victim of playing Zaheer for most of the balls, which made him leave a straightening delivery from Yadav and was rightly given lbw for just 8. Otherwise his fielding at short leg and short square leg was thrilling to watch in the entire match. Simon Katich has predicted that Cowan will be his successor in the Test side and if he performs like this, his prediction will come true some day. Marsh has been woefully out of touch after getting injured midway on the tour of South Africa. Umesh Yadav sorted him out as well in both the innings as he did not cross single figures. Scores of 0 and 3 tell the story itself. He needs to practice harder in the nets and perhaps a few Big Bash games for the Perth Scorchers under his kitty would not be a bad idea for him rather than celebrating the arrival of 2012 in a lavish fashion with his cricketing family. It has become common since a year now for Ponting to wake up every morning and read headlines on the sports page of a newspaper, where there are calls growing for him to retire. But the same critics forget that he is a man of defiance and substance as he will not give up easily, backing himself to deliver and that is exactly what he did in this Test. Shane Warne coined the name ‘Punter’ for him due to a reason after all. Ponting came into bat in extremely overcast conditions, a swinging pitch to face and a debutant at the other end after the fall of two wickets. Yet, he overcame the odds with such determination that it showed in his shots. He handled Ishant Sharma, his nemesis very well indeed by putting away the short deliveries he bowled and Yadav also tried to do the same, but was in vain. He was looking all set to break his century drought, until it was Yadav who ended his desire by an Ishant-like Perth 2008 ball to get his wicket and send him back to the pavilion for another score of 62 this year. Ponting would however value the fifty he scored in the second innings more since it came under tremendous pressure and in a situation when his team could have revisited the ghosts of Cape Town easily. At 27/4,Australiawere staring at another collapse until he used his experience to bail them out. He focused on building a huge partnership with Michael Hussey and it turned the tide inAustralia’s favour in what was a see-saw battle already. He was dismissed for 60 though as Zaheer made him play a fullish ball outside off. An aggregate of 122 runs with so many factors involved might have won him the man-of-the-match award if the Aussie bowlers would not have performed well but it will win him a place in the side for the rest of the series, guaranteed. Unlike his Indian counterpart, Clarke had a great game as he led Australia to a 1-0 lead in the series. However, his contribution throughout the game were more on the field as captain rather with the bat, which he should worry about because Clarke needs to fire throughout the series in case Ponting and Hussey do not in Sydney. Clarke was looking scratchy in the first innings and was undone by a ball which came back into his stumps from Zaheer bowling round the wicket as a plan to curb his free-flowing shots. It was a painstakingly made 31 but considering the form he has been in, Clarke would have been let down by that effort. However, the second innings was worse as Ishant got the better of the Australian skipper with an good-length inswinging ball for just 1. Though as captain, Clarke was active enough to make the appropriate bowling changes time and again with one of his ploys being to try out Pattinson alongside Hilfenhaus early in the third day’s play to ruffle up the Indian batters with pace and then bring on the menacing Siddle to bowl his seaming deliveries. It eventually worked as India lost 7 wickets for 68 runs in that morning session and Australia got a handy 51-run lead. At times, his field placings were questionable as at times, he was too attacking or too defensive. As of now, he can be a relaxed man but has a tough task to not allow his team to be complacent and thus as in recent times, inconsistent come Sydney. Mr.Cricket has hit back at his critics for the umpteenth time in his career. For how long can his man be written off? It was just a matter of time before he could get one big score in his name, and what better than to score against India in a series crucial as the Border-Gavaskar Trophy. Hussey was given out first ball in the first innings unfortunately off Zaheer Khan. He was naturally undone by a poor umpiring decision but made up for it in the second innings. He took inspiration from an equally out-of-touch Ponting and as a result held fort in order to get back his vintage shots such as the cover drives and the flick off the pads. His partnership with Ponting was worth 115 runs and add 7 more to this total and that’s the result of the match. Though, he still was not at his very best with Ashwin troubling him in one of his spells frequently and Dravid spilling a regulation chance when he was batting on 69. Eventually he was dismissed for 89 but such an innings on a deteriorating pitch just goes to show that he has a league of his own and Australia need to have him in their plans for the future alongside Ponting. Haddin has been the other senior-most member of the side under fire in recent times. However, his problems in Test cricket do not seem to have a finishing line. Another Test goes by without Haddin making much impact with the bat as he does not possess the technique to play in Tests, scoring just 27 in the first innings whenAustralianeeded him to score badly. While Zaheer picked his wicket in the second innings too in similar fashion, but this time he scored a mere 6. His wicket-keeping though proves that in Australia, there is no experienced wicket-keeper who can take his place in the team but if the Australian selectors run out of patience which they have a history of doing and consider the prospects of the Tasmanian, Matthew Wade to finally play Test cricket, Haddin could be shown the door soon. He can return to form, and where better to do it then the SCG, which is incidentally his home ground! Siddle is by far Australia’s most capped bowler in the Test side. In the absence of Ryan Harris though, he has taken up the mantle of being the team’s bowling spearhead and has done wonders in this Test atleast. Picking up the wicket of Sachin Tendulkar twice in a Test match is a rare occurrence for any bowler, and Siddle has to be given due credit for the manner in which he trapped the great man to commit the mistakes. Siddle, the home boy at the MCG has that aggression running in him which makes him bowl every ball with 100% commitment. That is precisely what Clarke wanted, and persistence always counts especially in Tests against a batting line-up with more than 50,000 runs to its name. It was not just Sachin, but even the likes of Laxman who struggled against him in the entire Test and also got rid of a threatening Ashwin twice in the match. 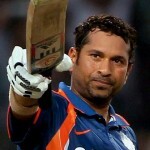 He relied on his brains rather than skill to trouble the Indian batters by using the pitch to the fullest to assist him. He is the key for Australia’s chances to win this series, if he bowls in the same manner as at the MCG as the Indian batsmen have to somehow work ways to tackle him. The other home boy, Pattinson was rightly awarded the man of the match for his outstanding efforts with both the ball and the bat. It could be said that he was unfortunate to have picked just two wickets in the first innings, despite bowling his heart out and at an amazing speed. But what that effort did was that it played on the Indian batsman’s minds as to the fact that they will have to contend with another bowling threat on a swinging pitch when they came out to chase. The second innings of both the sides actually were highlighted by his efforts. His unbeaten 37 was his highest first-class score in Tests and good enough to getAustraliaa lead past 250. He batted with amazing technique, considering he is a tailender and was mature enough to hang in there with Hilfenhaus for as long as possible. While with the ball, he picked Dravid, Laxman and Dhoni’s scalps with all the three not playing bad shots, but it was outstanding bowling from the rookie bowler. These three are the mainstays of the Indian batting and the chase was derailed with these wickets as it led Australia to the victory post. Pattinson had a successful debut against New Zealand and it would be fascinating to see if he can keep up this quality of bowling for the remainder of the series. The Tasmanian made an impressive comeback into Test cricket with a deserving 5-wkt haul in the first innings. He was the man to have begun Australia’s turnaround in the match by removing Dravid early on the third day and then the likes of Kohli and Dhoni in one session itself, which helped India getting bowled out for 282 after being 214/3 at one stage. He does not possess the pace of Pattinson but has the swing which is likely to unsettleIndia’s batsmen like it did inEngland, which was one of the reasons he was chosen to play ahead of the young Mitchell Starc. Sehwag’s wicket was the most vital in the second innings as he can change the game in no time. It turned out to be a masterstroke in selection and Hilfy will now have to prove that this was not a one-time performance like the Ashes last year. The off-spinner did not have much of a role to play as such in the Test match with the quickies doing the damage and sharing the spoils of the 20 wickets picked, as the pitch had nothing in it for him. Yet, he was instrumental in getting Sehwag’s wicket in the first innings as Sehwag was in an attacking mode after taking him on big time. It eventually helped Pattinson bowl him off an inside edge. Lyon though will have a huge role to play in Adelaide for sure as it is a spin-friendly wicket and perhaps Sydney, if Australia do not play an all-pace attack. Despite the win, the battle was close, Australia by no stretch of the imagination dominated proceedings day after day. Yes, they might have come out on top, and a 122 win might seem convincing, but, the first 3 days was hard fought with India on top at the end of day 2 and day 3. It is important that Australia work on their batting to avoid collapses of this sort in the future. Presently, there is too much for the tail to do, and they will not do it all the time. Either way, Australia were impressive since they went into the series as underdogs and bowled out the strong Indian batting pretty cheaply on both occasions, showing they still are a world class team in home conditions. Here’s the Indian report card after the first test match of the Border-Gavaskar trophy. India have begun their tour ofAustraliaon an atrocious note by losing the first Test at the MCG by 122 runs. As a result, they need to review their performance to ensure that they do not suffer a repeat of this in the remainder of the Test series. Here is a plausible analysis of the Indian performance as each player will be rated out of 10, for their contributions in accordance to the team’s batting line-up. This is a Test match with Gambhir out of all his team-mates would love to forget in a hurry. Scores of 3 and 13 are extremely low as he was expected to support Sehwag in giving his team a good start. And incidentally, in both his innings his manner of dismissal was the same. Australia might have sorted out where to bowl at him for the rest of the series and could become a walking wicket for India if he does not improve. His tentativenss towards a short off a good-length ball outside off-stump has cost him his wicket whether it is off the bowling of Hilfenhaus or Siddle. He will have to work extremely hard to counter this threat as he looks woefully out of form, averaging below 30 since January 2010. As this rating suggests, it was an average Test for Sehwag. In the first innings, he took on the inexperienced Australian bowlers with all his might as usual and put them under pressure right from the word go. His partnership with Dravid eventually turned out to the second highest partnership for India in the first innings and was crucial to give them a respectable total. He was out for 67 when James Pattinson got his stumps crashed with an inside-edge. However, Sehwag’s poor second innings record did not improve as he was out in single digits, playing an unnecessary shot to a ball which was short and wide outside the off stump. Sehwag though has safe hands as he took Brad Haddin’s catch in the first innings as he was about to get back his touch while in the second innings he took a crucial catch of the threatening Ricky Ponting, both off Zaheer’s bowling. Dravid is the highest run-getter in Tests as of 2011 in the world, and India needed this man in form to help chase 292 on a deteriorating pitch. It was one of those rare Tests where ‘The Wall’ has disappointed and is likely to hit back strongly. Much like Sehwag, Dravid too had a better first innings display to show with the bat. He was steady as always despite the likes of Pattinson emerging as a potential threat due to the pace at which he bowled every ball. It was looking like Dravid’s knock would take the game away from Australia as India could have gone past 500 in the first innings with Sehwag posting a decent fifty while Tendulkar was involved in building a huge partnership with him. However, Dravid was dismissed on the second ball of the third day’s play as he reacted a tad late to an outswinging ball from Hilfenhaus which crashed into the off stump and his wicket triggered off a sensational Indian collapse in that session itself. Besides, Dravid who is a genius fielding at the slip cordon, dropped a sitter off the bowling of Ashwin and the lucky batsman was Michael Hussey. Overall, it was the first failure for Dravid individually in 2011 and his role will be extremely instrumental in boosting the morale of this side. Tendulkar’s performance in the Test was indeed the best amongst all the Indian batsmen, just as it has happened a numerous amount of times in his career. However, what has also happened so often is that his efforts have not assisted India in winning Tests. He was unfortunate to have missed out on a much-anticipated 100th ton at the MCG, as Peter Siddle broke a billion hearts by getting Sachin clean bowled off a good length ball outside off which came back in at the last minute to rattle his off-stump. His 73 was the highest individual score in the first innings, asIndia finished at 282 eventually. In the second innings though, Tendulkar too does not have a great record despite being the highest run-getter in Test cricket. And that trend continued as he was dismissed by Siddle for the second time in the match on the score of 32. It was looking a promising and positive innings but his positivity made him pay the price as he drove a widish, pitched up delivery outside off and the ball went straight into the reliable Hussey’s hands at gully. It was a dismissal similar to the one off the bowling of Ravi Rampaul when Tendulkar was dismissed for 94 in Mumbai in the recent West Indies series. But he still looks in good nick, and it will not be astonishing to see him finally achieving the ultimate ton at the SCG, which is one of his favourite grounds. Out of all, it was Laxman who perhaps had the worst Test of his career by far. 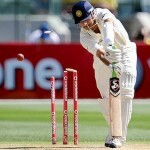 It is a shock as Laxman rarely has failed against the Aussies, as he did in Melbourne. Scores of 2 and 1 have ensured that his poor run at the MCG continues. He is also equally accountable for the team’s defeat as Dhoni would rely on the likes of Dravid, Laxman and him to score the maximum amount of runs for the side due to their experience. He looked out of sorts in the Test as he struggled to get off the mark in the first 20 balls he faced in the first innings. And that must be a crucial factor leading to the fall of his wicket as Laxman tried to put a fullish ball outside off into a gap for a single, but instead nicked it to Haddin who took a low catch. While in the second innings, he was a bit unlucky as he was dismissed off his favourite shot, the wristy flick through square leg as the rookie Pattinson bowled a clever yet pacy ball to Laxman on his pads, which he could not resist playing and Cowan did the rest by taking a smart catch. He is young and inexperienced in Test cricket. But to an extent, that does not qualify for an excuse to a poor outing at the MCG, in what was his first Test in Australia and the fifth of his career. It was anticipated that Kohli will play a key role at the shaky No.6 position inIndia’s otherwise solid batting line-up, looking at the form he was in during the practice matches. But practice matches are a different ball game altogether, and Kohli could simply not adjust to the not-so-flat MCG pitch. Simply put, he was not able to handle the outswinging ball outside off and that cost him his wicket in the first innings but that has been the story of the majority of the Indian wickets in the entire Test. The second time around, he was given out lbw on the first ball he faced. There was a mad streak of wickets falling and Kohli soaked in the pressure created by the pitch and the Aussie bowlers as a result. It is still early days for Kohli and what we have seen of him in international cricket so far, he will keep learning with experience. However, another let-up at Sydney and it could be curtains for Kohli’s chances to play in Perth and Adelaide for the final 2 Tests. The Indian captain could not step up to the occasion as this is the fifth consecutive away Test match India have lost under his leadership. His performance too was poor and he has to blame himself for it. In terms of batting, Dhoni is usually adaptable in ODIS but when it comes to Tests, it is not the same story due to his crippled technique which is likely to come under fire if he does not start scoring soon. He was poised to make a decent score in the second innings but a moment of madness in his batting caused him to get bowled off an inside edge of a Pattinson delivery which he tried to heave over mid-wicket. Scores of 6 and 23 do not make good numbers anyway and when he could have guided India home when they have to defend 292 rather than a 392, he did not. When the captain of the team leads from the front with the bat, it is one of the most effective ways of inspiring the other batters to start scoring as well by supporting the captain. On this tour and after seeing a debacle at MCG, India needs Dhoni to fire on all cylinders. Dhoni’s wicket-keeping was good as usual but the most defining moment of it was when he took a spectacular catch to help getting rid of Siddle in the second innings. But he has to do a tremendous amount of work to ensure that this debacle does not repeat again in the series. Ashwin has once again proved that he could be the answer to India’s perennial problem of the lack of an all-rounder in the Test team. He bowled extremely well considering that generally Australian wickets do not favour spin, and the MCG was no exception. The pitch had life in it for the quickies but Ashwin was aggressive enough as he tried to pick wickets at regular intervals. He did manage to get three of them in the first innings, and especially the huge scalp of promising debutant, Ed Cowan. 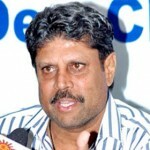 In the second innings, he could get some bounce through which he tried to skid the ball which was hurry on to the Aussie batsmen but it was tough luck that he could only end up with 1 wicket in 22 overs, as Michael Hussey was dropped on 69 by Dravid at first slip after Ashwin was implementing a superb ploy to frustrate his Chennai Super Kings team-mate to drive outside the off-stump, which is one of Hussey’s favourite shots. With the bat, Ashwin had two scores of 30 and perhaps was the only batsman to curb Australia’s rampage with the ball to an extent by batting sensibly, which was needed on a pitch like this where run-scoring is not at all facile. He has the capacity to become a fine Test player for India in the future and his form is one of the positives India can take out of an otherwise ordinary Test match. When Ishant bowled one particular ball at 152 km/hr, there must have been a certain sense of nostalgia in the minds of Indian fans about the 2007 tour. Perhaps, Ishant has returned back to his pacy best or it is just that Australia brings the best out of him. The lankyDelhiquickie was unsuccessful in the first innings with the new ball, despite there being overcast conditions and bowling his heart out. He could have bowled better to who could be called his bunny, Ricky Ponting but this is cricket and these things happen. However, in the second innings he made rapid strides. As the pitch got tough to bat on, Ishant was made to bowl first-change so that he could trouble the Aussies from one end with his pace, so that the other bowlers could strike from the other end. Having said that, it took a snorter of a ball from him to bowl Michael Clarke, who for the umpteenth time in his career fell prey to an inswinging good length ball. It was a crucial wicket for India but eventually the team was not rewarded for it. Besides, his batting in the first innings as night watchman was astounding. He resisted Australia’s charged-up bowlers for 90 minutes in the morning session of day 3 even as wickets were falling like a pack of cards at the other end. He left Siddle’s two bouncers with aplomb, which would make any top order batsman proud and defended with a watchful eye. Which is why Ishant did not have a bad Test match as such but India would like to see more from him to win the series from here on. India’s bowling spearhead make a successful comeback to Test cricket by picking 7 wickets at the MCG. He ran through Australia’s lower middle order in the first innings even as he struggled in the first session of the first day’s play. It is never easy for any cricketer to be at his best immediately after a big lay-off from injury. But Zaheer proved that he is no ordinary cricketer as his bowling was menacing and most of the Australian batsmen struggled to contend with the swing he was able to generate throughout the Test, despite his pace not being as consistent at it was in the past. He beautifully set up Clarke in the first innings with the old ball to bowl him from around the stumps and the next ball; he bowled a peach of a delivery to Hussey which convinced the umpire to declare him out first ball, despite there being no sound of the bat. Zaheer was back in business as he broke a threatening partnership by removing both Haddin and Siddle to eventually restrict the Aussies to 333. In the second innings, Zaheer was the man responsible for Umesh Yadav picking up 3 wickets in his first spell. He troubled Warner with his balls outside off-stump and Cowan with swing at the start of the innings. Both the openers were out by the end of the 8th over. Though he did not find any luck in his first spell, he came back strongly in his second to dismiss a resurgent Ricky Ponting by tempting him to drive a full length delivery outside off while also getting the better of an out-of-sorts Haddin and a gritty Hussey for the second time in the game. If it was not for Zaheer’s efforts,Indiawould have lost in all likelihood by a bigger margin than just 122 runs. He has been the standout performer for India in this Test match and he will not give sleepless nights to Dhoni and Fletcher as well as Indian fans as he has sky-rocketed expectations to help India fight their way back into the series. Like Zaheer, Yadav also ended with a 7-wicket haul in the match but considering the consistency at which he bowled at 140-145 km/hr on a regular basis, he will take more credit than his senior partner to have caused some mental disintegration in the Australian batters for the rest of the series. Australia will be beware of Yadav in Sydney and Perth in particular, where the bounce will be much more than that at the MCG and his pace could be threatening on such pitches. He was initially expensive in the first innings by leaking a couple of boundaries, but at the same time he kept attacking the Aussies by trusting his pace to do the job. For that, he achieved the reward of being patient by picking the first three wickets in the first innings which included Ponting’s. He may have picked Warner with a short ball courtesy a brilliant plan and Marsh due to a feeble shot he played to gully, but the wicket of Ricky Ponting gave him a huge confidence booster. It was uncanningly similar to Ishant dismissing him at Perth in 2008, but the ball was worth applauding. A back of a length delivery was just shaping away and Ponting had to play at it since he hops across the stumps and it snapped his outside edge, which gave Laxman a regulation catch at second slip. In the second innings as well, Yadav continued from where he left off but took a stunning 3 wickets in a span of 8 overs, which involved the likes of Warner, Cowan and Marsh. He was accountable for Australia being 27/4 in 13 overs. Unfortunately for India, he only picked a wicket in one of his final spells as Australia went on to score 240 courtesy Ponting and Hussey. Much like Ishant, Yadav has made a name for himself in Australia and is a bright prospect for Indian cricket especially in Tests. The question is his consistency in terms of his form, fitness and pace over a period of time. Indiahave a lot to work on come Sydney. Surprisingly, it was their batting that was put under the pump more than anything. Also, Dhoni has to be more aggressive with his field placing. What happened early on the 4th day was appalling to say the least. In retrospect, it turned out to be the defining moment of the test match as the Australian lower order added some crucial runs to their total. India’s bowling did come good, Zaheer and Ishant pulled up really well, while Umesh Yadav was brilliant with the ball. Ravichandran Ashwin had his moments too, but defensive field sets did no justice to his trade. India have always been poor starters abroad, indubitably, they will come back stronger and harder in the 2nd test.